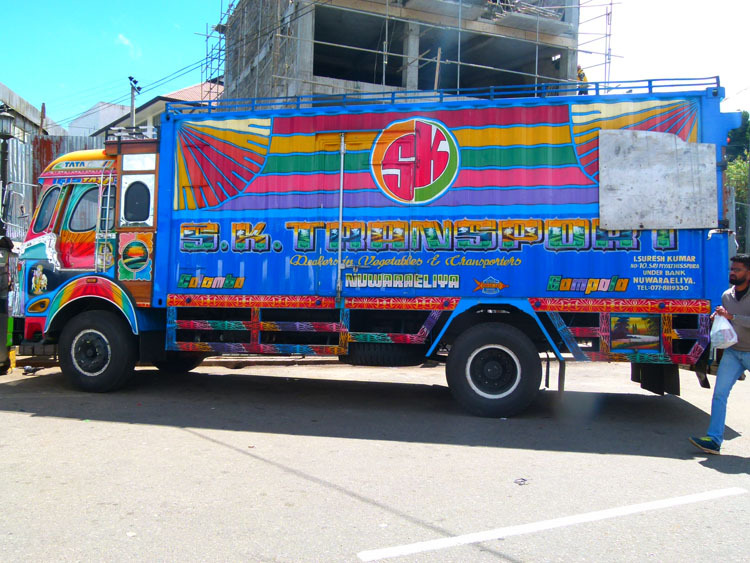 On arrival in town from our early morning jaunt to Horton’s Plains and onward to Nuwara Eliya, we were swiftly greeting by the Victoria Inn manager as he loaded our bags into an awaiting van. He seemed a bit anxious and the only explanation he’d give us is that the hotel was fully booked. I began to see red very quickly, as they had confirmed our booking to stay here, and we wanted to stay in an older, colonial building with a bit of character. Now we weren’t free to choose where we stayed! After some refusal to get in the van, we eventually, reluctantly, agreed to at least look at the other place. We were taken to the Single Tree Hotel on the other side of the Race Track. It was neither colonial, nor appealing. Then an argument ensued as the manager kept saying “no, no, no” dismissing my concerns out of hand. I told him he did bad business and we wouldn’t be treated like sheep and told what to do, especially as we’d already paid for our accommodation. All he kept saying was that the new rooms were better, had AC and TV and cost more than our original rooms of choosing. I relented and let Shazz see the room. As we were pretty tired, and the process of getting our money back would probably take up our time over the next 2 or 3 days, we counted our losses and put our bags in the room. Actually, the room wasn’t too bad and probably was more comfortable than over at the much older Victoria Inn, but that wasn’t the point. I was still fuming over being treated like sheep in this famous “tourist town” where “the customer is always right” went out the window years ago. Exhausted and dirty from our morning so far, we both showered and hit the sack. We awoke mid afternoon and wandered down to the modern looking Araliya Shopping Mall which had a Foodcourt on its bottom floor. It was quite expensive and they had beer, but you needed to drink it outside in the cold with the smokers! My initial bad impression of this place was in no danger of fading away at the moment! A thick blanket of fog began to roll in as we finished eating, so we headed up the hill to the colonial, Tudor style, Grand Hotel. A vast lawn leads you up to the circular driveway and the pillored entrance. To the side, well-dressed Europeans and Asians sat around small tables taking “High Tea”, a quintessentially British institution. We somewhat hesitantly sneeked past a uniformed doorman and tried to look like we belonged here (no chance!). We couldn’t stop staring at everything and poking our heads around corners to see what was inside. It was like going back in time! Prince Edward was supposed to be in town and it wouldn’t have surprised me to run right into him around the next corner. My keen instincts led us directly to the bar and pool room. Polished wood covered every surface and the bar staff were dressed like they were out of an old Humphrey Bogart movie. At one side of the room was an open fireplace with a roaring fire, there was no way I was going anywhere without a couple of beers in front of the fire. The fog had completely whited out the town now and you couldn’t see more than a few metres out into the courtyard at the back of the bar. I almost hoped it would start raining, just to give me some extra incentive to stay a little longer! We had breakfast in the adjoining hotel building and I completely ignored the hotel manager who tried to make small talk. He wasn’t getting off the hook that easily! The sun was a welcome sight again today, and it was surprisingly hot for up here in the highlands. We decided to look around the local Botanical Gardens (Victoria Park) (300rps ea). It was a nice stroll and, being a popular destination for Sri Lankans, there were plenty of local tourists out enjoying themselves as well. 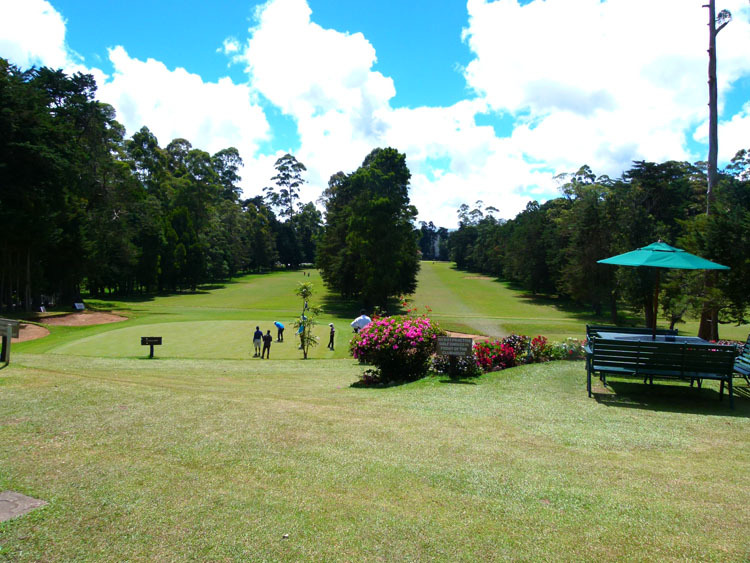 Next stop on our way to check out the bus station for tomorrow was the rather exclusive Golf Club which takes up most of the area in downtown Nuwara Eliya. The 18 well-manicured holes wouldn’t be out of place in any respectable golfer’s holiday destination. So, we ordered a drink and sat and watched a little of today’s competition as they hit their approach shots onto the 18th green. 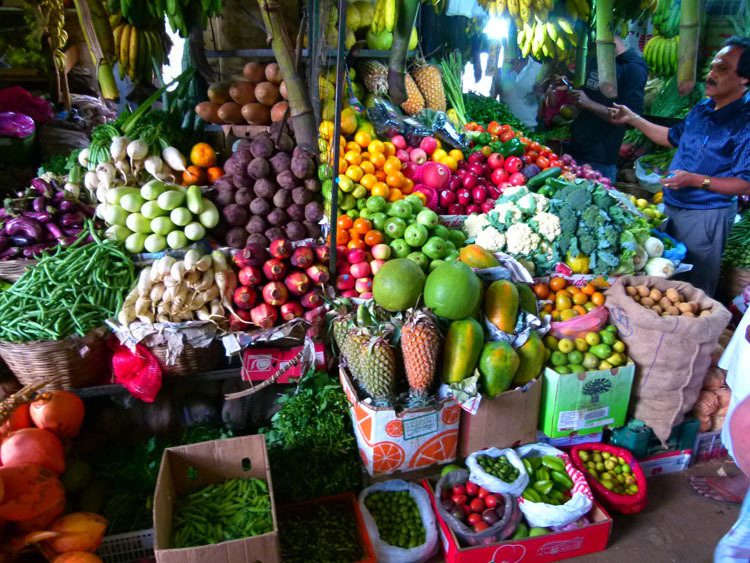 Back down in town, we checked out the departure point for the Kandy buses, then looked around the local vegie market and had lunch in the back of a small bakery. We had dinner (a buffet) at the Alpine Hotel, just down the road from ours. The selling point though, was the top floor bar with a view. That was the best part though. The food was ordinary and well overpriced (our beers were 600rps ea), just like this whole place if you ask me! We had already made up our minds to leave in the morning. 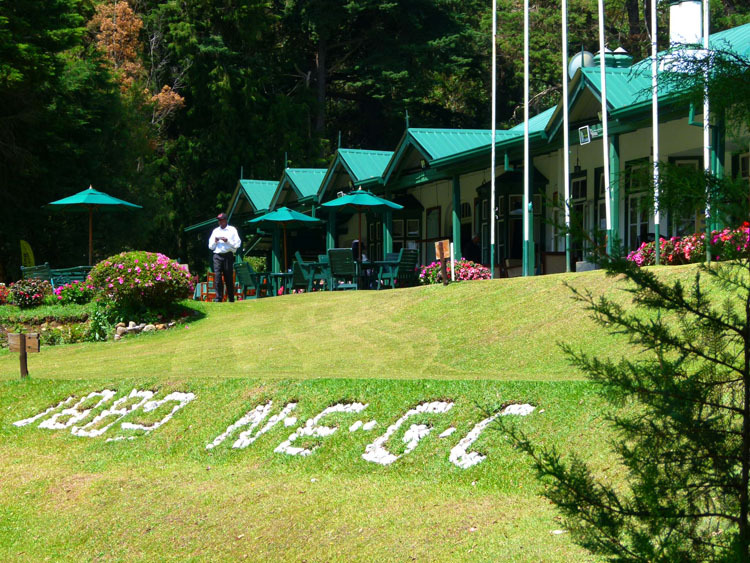 Nuwara Eliya is overpriced, so if you’re on a budget – beware! Get your drinks from one of the local “wine shops” (the small ones with the bars on the windows and a green and white sign). 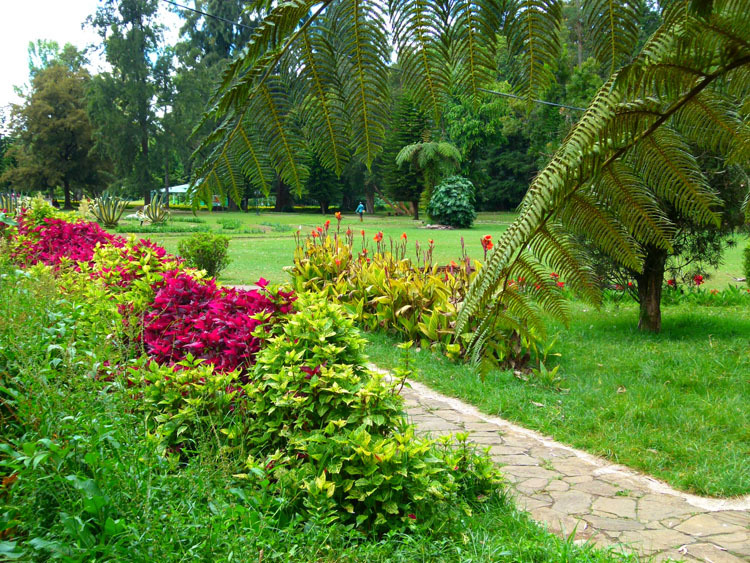 You can use Nuwara Eliya as an alternative base for Horton’s Plains.